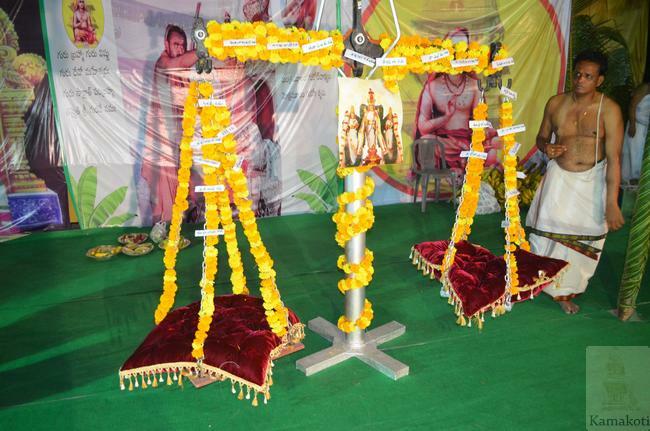 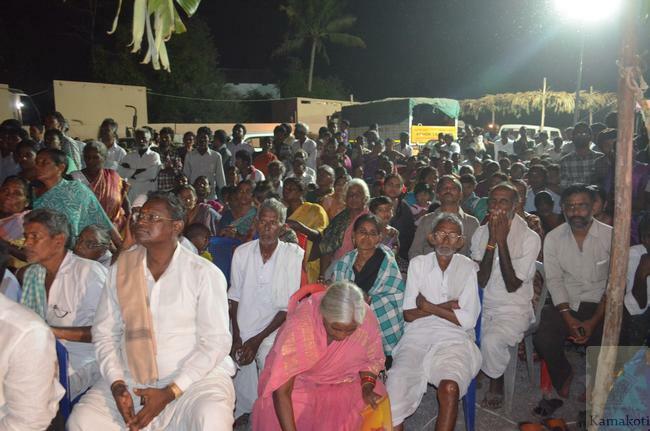 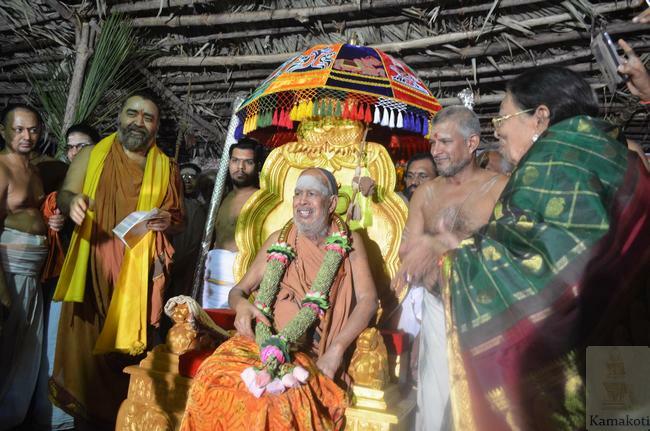 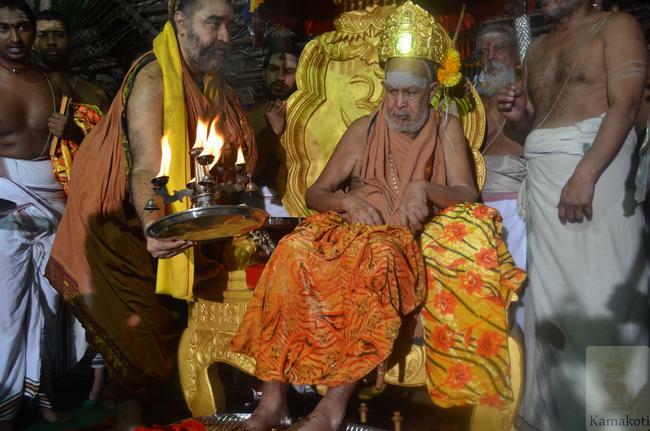 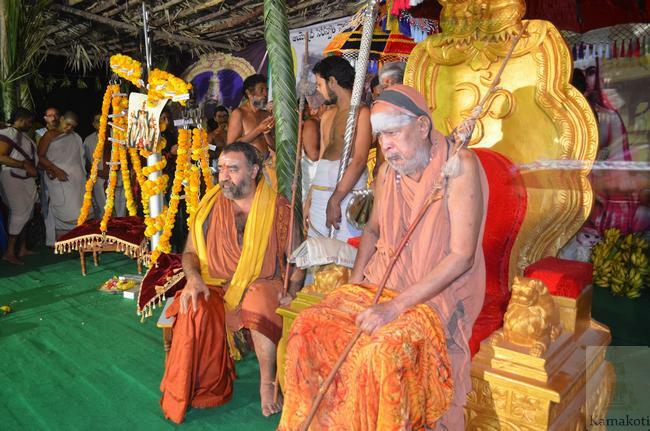 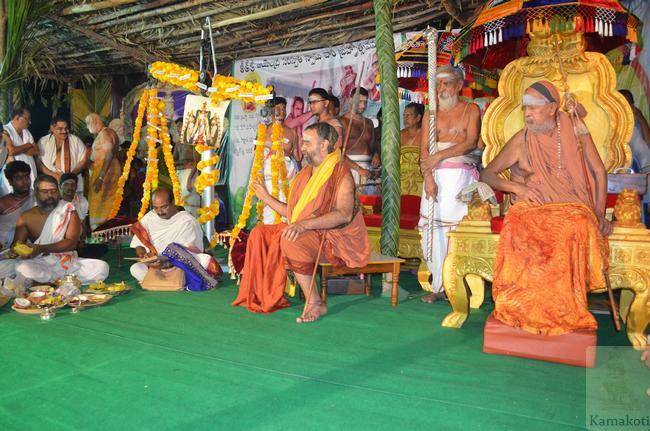 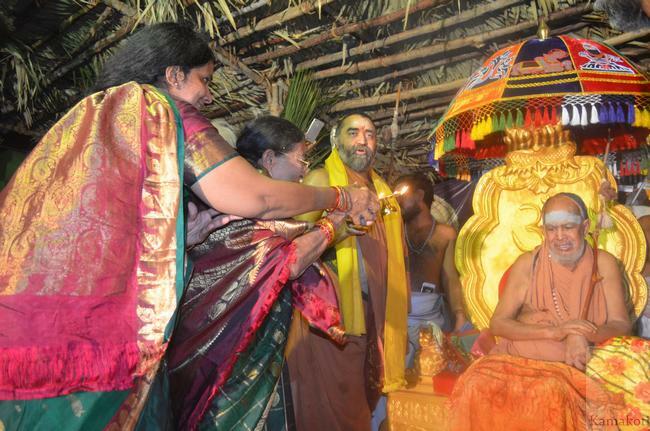 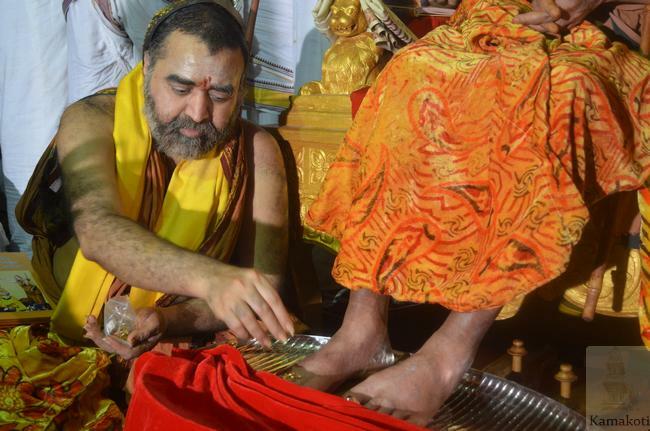 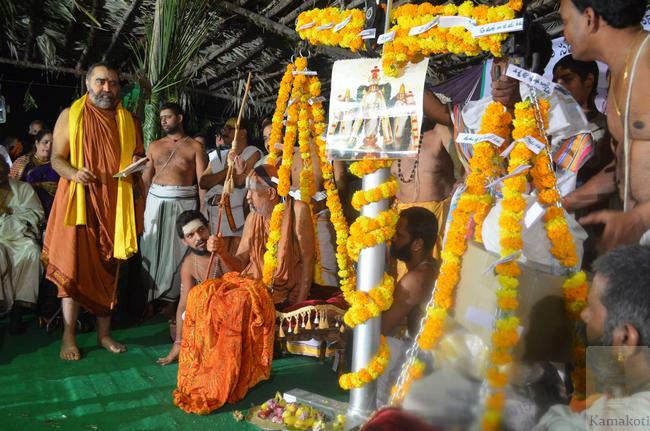 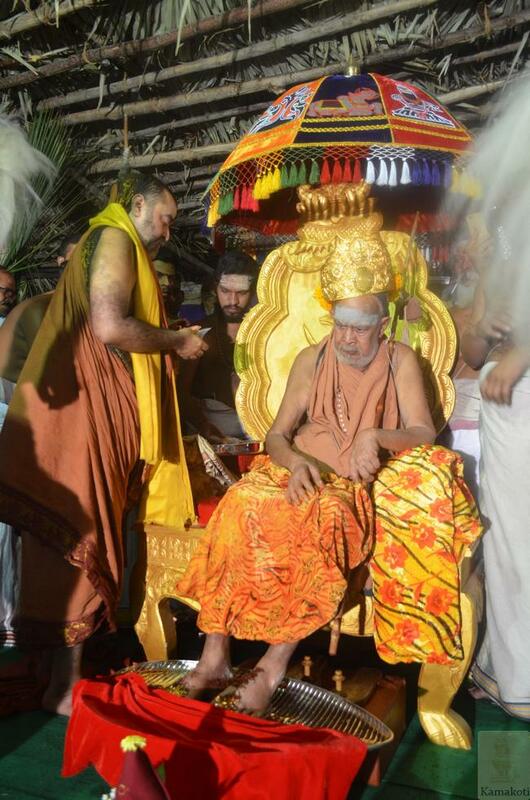 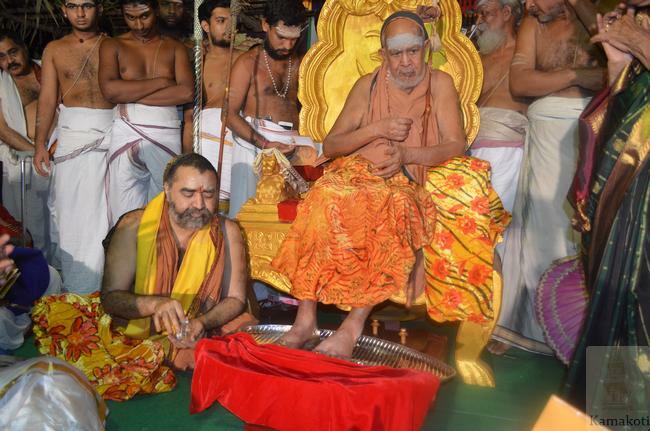 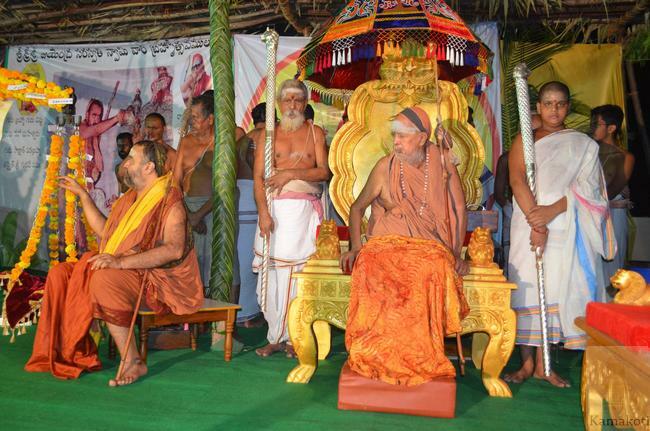 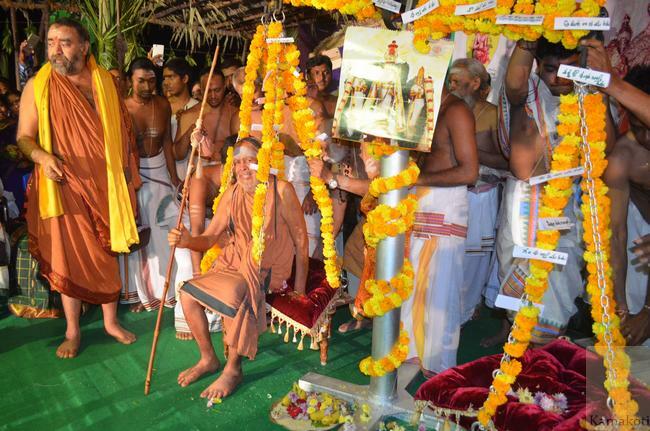 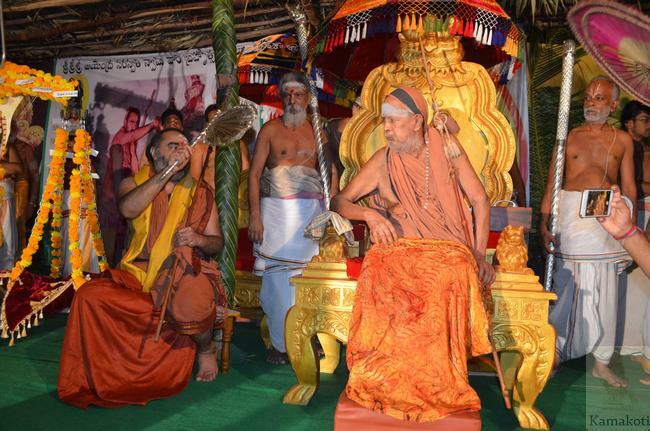 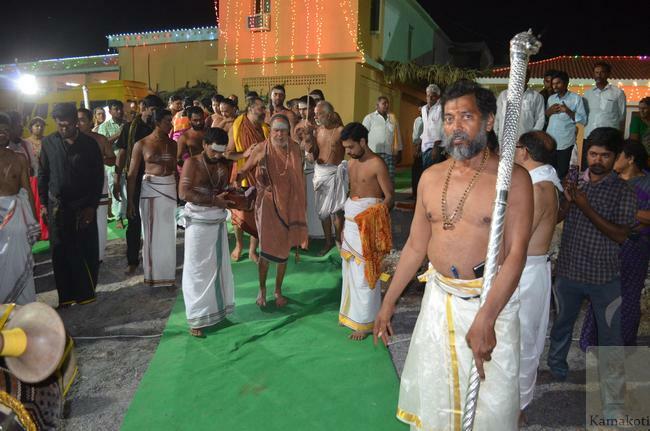 Tulabharam, Swarnapada Puja, Keerita & Paduka Samarpanam were held in Kantepudi branch of Shri Kanchi Kamakoti Peetam as part of the ongoing Brahmotsavam festival of His Holiness Pujya Shri Jayendra Saraswathi Shankaracharya Swamigal. 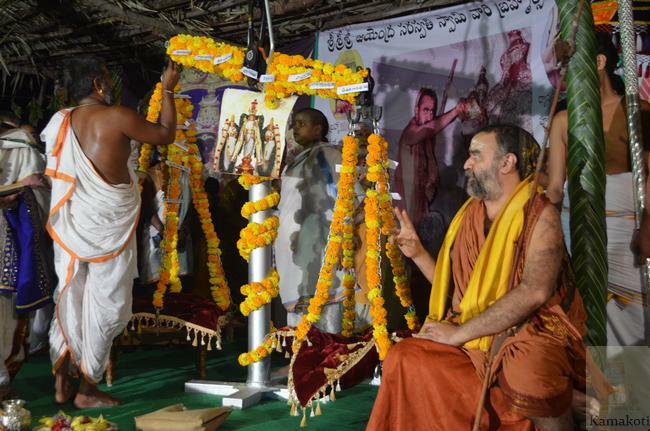 Following shastric dictums in treatise of Shiva Rahasya the Tulabharam was held with performance of various Pujas by Agnihotri Vedic Vidwan Shri Dhulipala Ramakrishna Shastri. 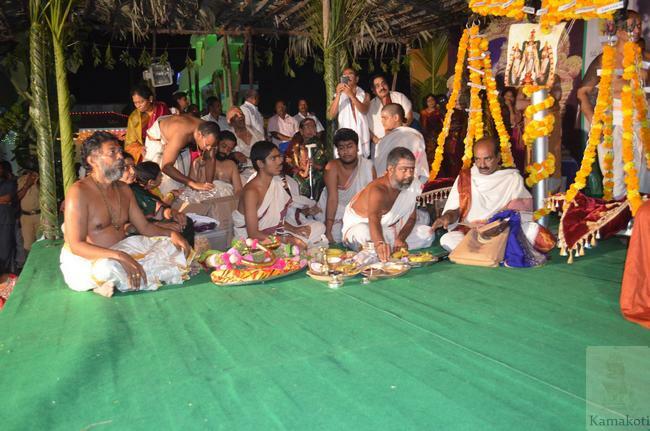 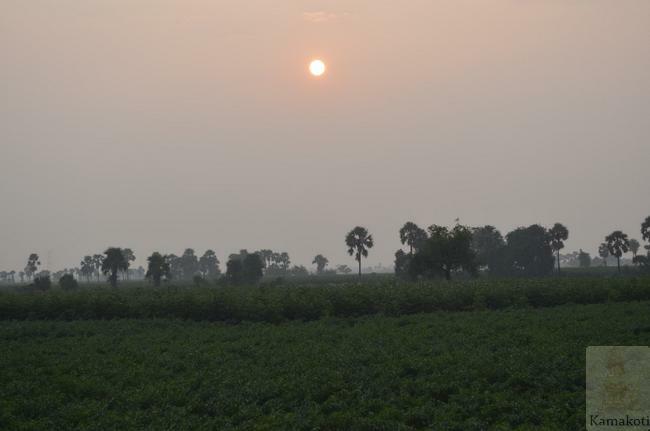 Various items included Rice, Dal, Fruits, Honey, Sandalwood, Ghee, Coconuts, Kumkuma, Sugar, Turmeric powder, Vegetables, Jaggery. 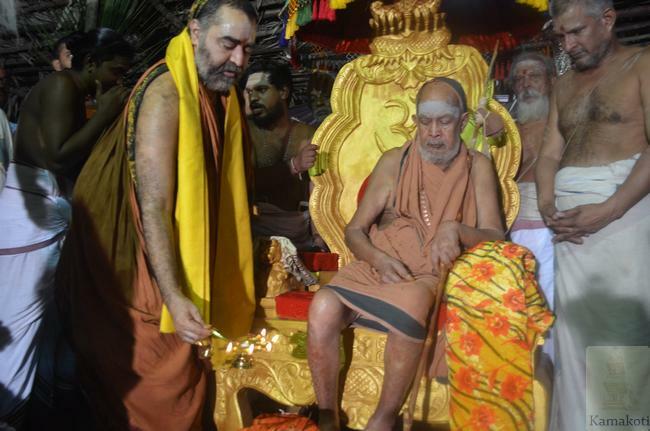 His Holiness Shri Bala Periyava then performed Swarna Pada Puja with chanting of Ashtottaram Namavali of Shri Periyava. 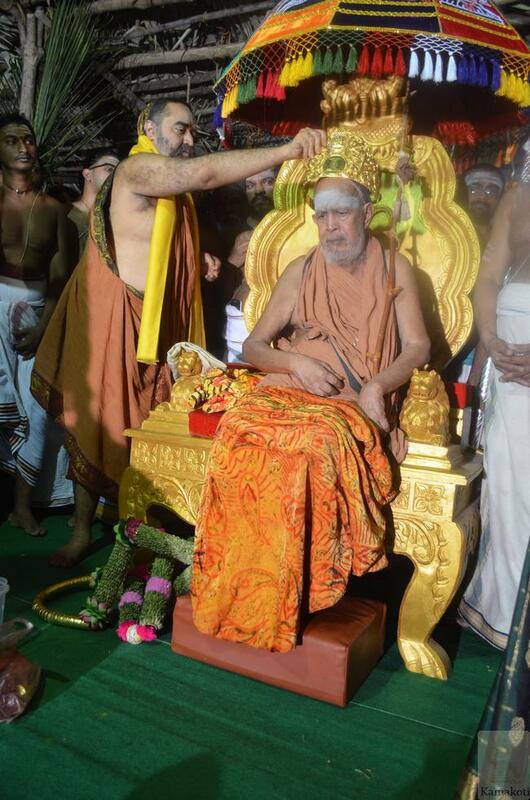 His Holiness then placed the Golden crown. 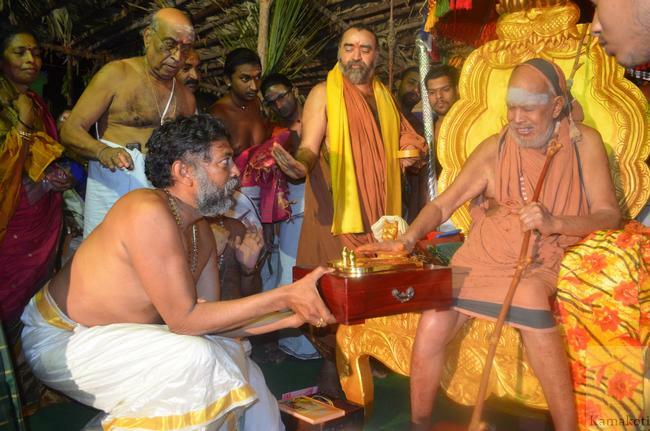 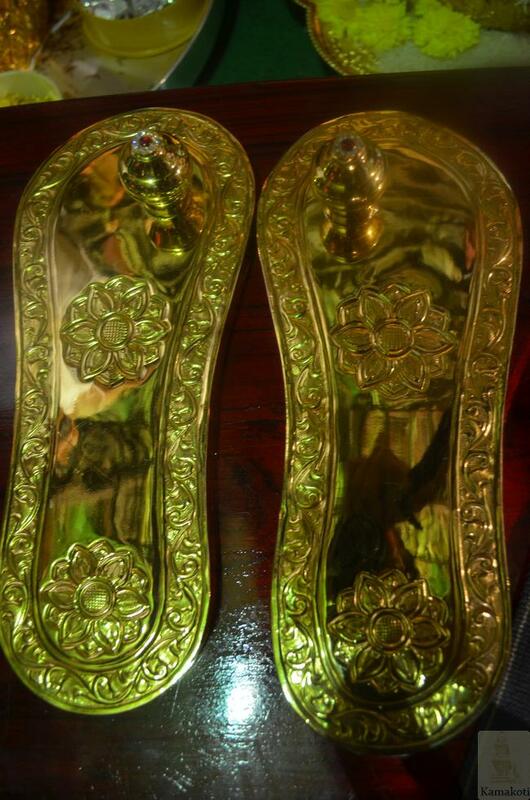 His Holiness then submitted the Swarna Paduka to Shri Periyava. 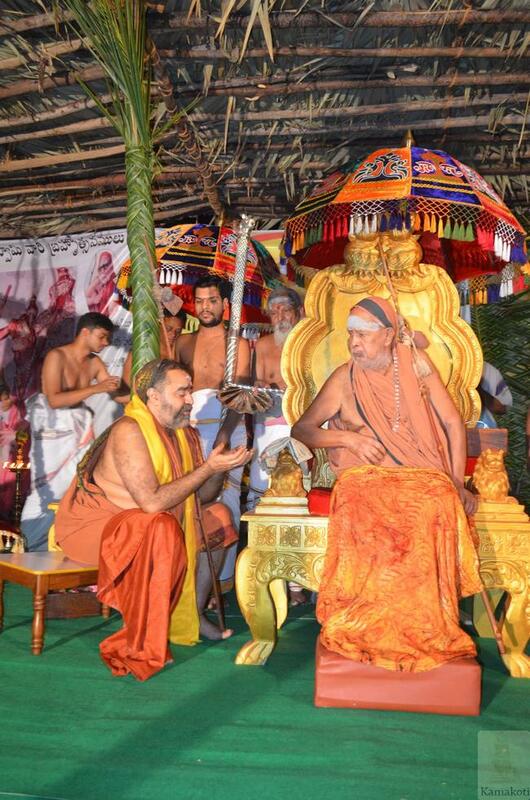 Deeparadhana was performed. 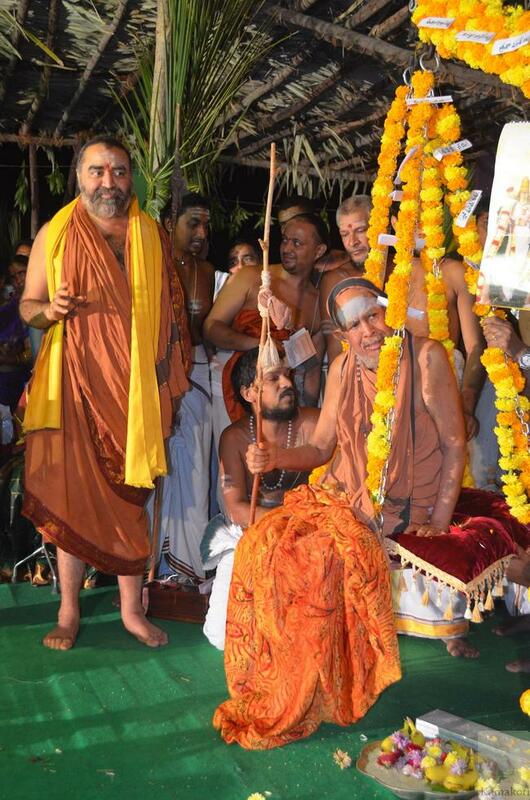 Vedic Mantras, Guru Ashtakam, Totakashtakam etc were chanted on the occasion. 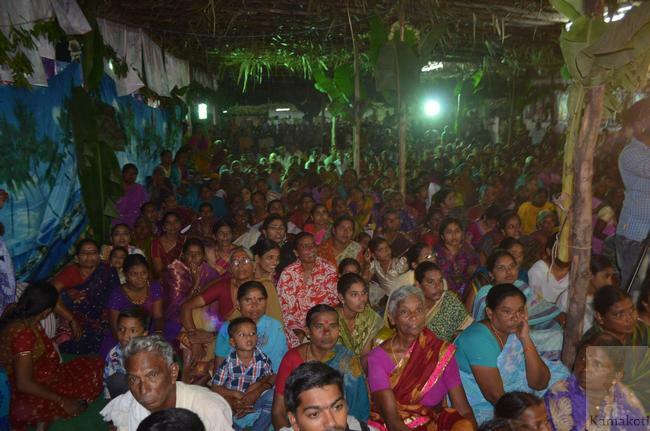 It was a delight and a rare opportunity to the local community which had gathered in large numbers to witness the divine celebrations.